Former Australian captain Billy Murdoch, star batsman Dean Jones and fast bowling great Cathryn Fitzpatrick have been inducted into the Australian Cricket Hall of Fame. Murdoch debuted in 1877 and played 19 Tests – 18 with Australia and one with England – as a wicketkeeper-batsman, averaging 26.86. Former Australian captain Billy Murdoch. He also became Australia's second Test captain, leading the nation in 16 Tests between 1880 and 1890. He withdrew from first-class cricket in 1884-85 because of a dispute over player payments and was so frustrated with the sport he quit and focused on practising law for six years. Aged 36, he returned in 1890 to captain the Australian side on a tour of England but struggled and was axed after the series. He migrated to England and captained county side Sussex. An excellent golfer, rugby player and pigeon shooter, the New South Welshman also represented England in one Test against South Africa at Cape Town in 1892. Once his playing days were over, he remained in England but died while watching a Test match in Melbourne in 1911. Hall of Fame chairman Peter King said Murdoch had made a remarkable contribution to Australian cricket. “Billy Murdoch is among a select group of cricketers to have played Test cricket for two nations. While he played the majority of his 19 Tests for Australia, he qualified for and represented England in one Test against South Africa at Cape Town in 1892," he said. 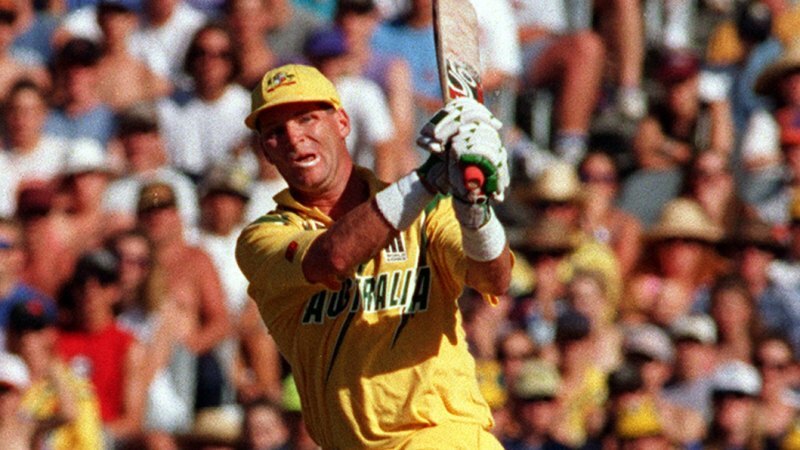 Jones debuted in 1984 and played 52 Tests, averaging 46.55 with 11 centuries, before he was controversially axed from the XI heading into the 1992-93 home series against the West Indies, having been told at 10pm the night before the first Test in Brisbane he had been replaced by Damien Martyn. He was arguably best remembered for revolutionising one-day international cricket with his dashing style, superb fitness and brilliant fielding. He was also the first man to don sunglasses while fielding. In 164 one-day internationals, he thumped 6068 runs at 44.61, with seven tons, and was a key component of the 1987 World Cup victory. Jones, a columnist with The Age and Sydney Morning Herald, has forged a successful career as a Twenty20 coach in Asia and on the sub-continent and is keen to have greater involvement in Australian cricket. "Dean Jones revolutionised one-day cricket in the 1980’s, not just through his aggressive and entertaining batting, but also with his athletic fielding. A game changer, he was renowned as one of the best runners between the wickets and being one of the best outfielders of his generation," King said. Fitzpatrick made her Test debut in 1991 and played 13 Tests, claiming 60 wickets at 19.11, and 109 one-day internationals and two Twenty20 internationals. "Cathryn Fitzpatrick was regarded by teammates and opponents as the world’s premier female fast bowler over her decorated career. Her dedication to the game ensured she regularly bowled at a sharp pace which batters around the world often struggled to handle. She was dangerous right to the end of her career, claiming a six-wicket haul – that included a hat-trick – in her second last match," King said. Jones, Murdoch and Fitzpatrick will be officially inducted at the Australian Cricket Awards night at Crown in Melbourne on Monday. Who is Kieran McKenna and how old is the Manchester United assistant manager?